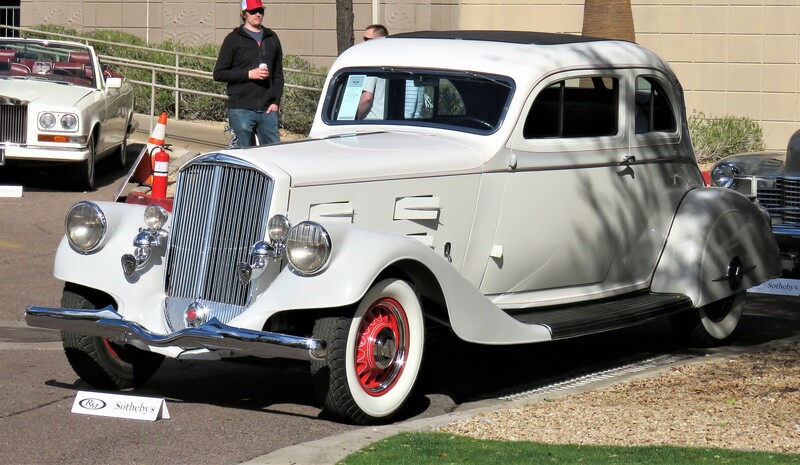 RM Sotheby’s hosted the best deal of Arizona Auction Week on Wednesday, a preview of its spectacular collection of vehicles at the historic Arizona Biltmore Resort – absolutely free to all comers. Even the parking was free. 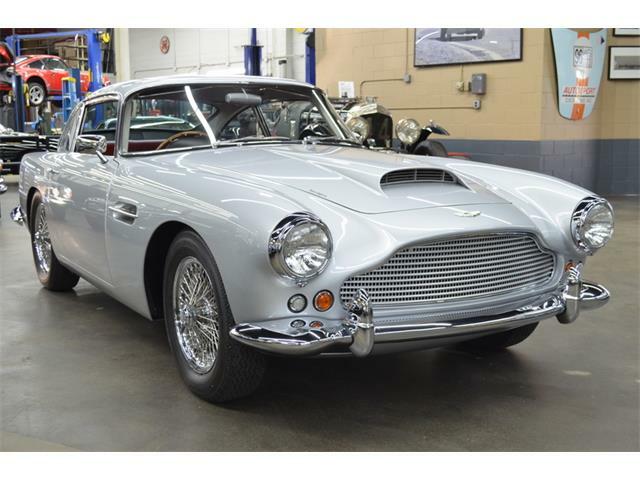 What visitors got to see were about 170 special cars that are to cross the auction block Thursday and Friday as the Canadian auction house conducts its 20th annual January auction at the Biltmore. 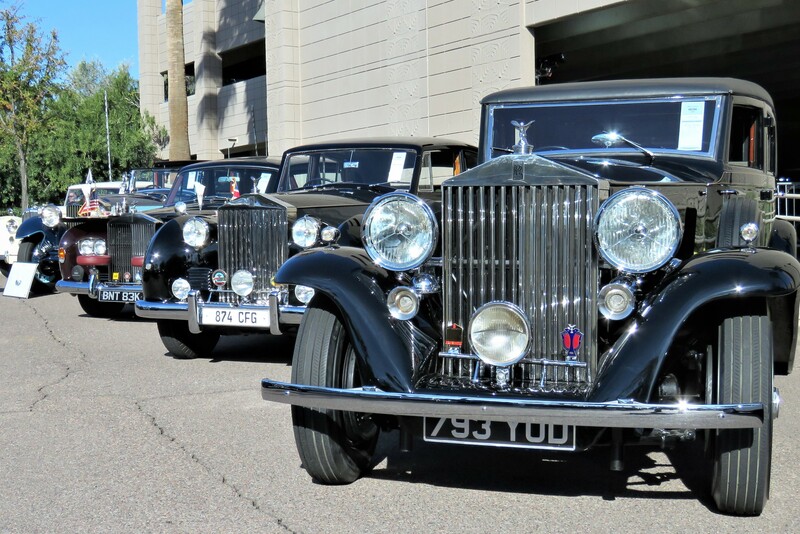 Where else would you get to see such a bevy of beautiful Rolls-Royce and Bentley motorcars, the bulk of them from a single collection? Or a swarm of Porsche 911s of just about every kind, up to and including the latest 2018 Turbo S? 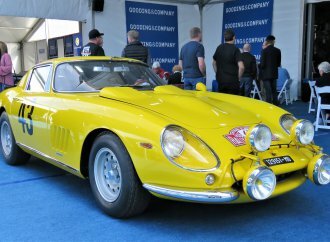 Or such a vast showing of fabulous Ferraris, some of them the highest valued cars at any of the auctions, including the most-valuable car of Arizona Auction Week, a one-off 1957 Ferrari 250 GT Coupe Speciale with an estimated worth of $11 million to $13 million?? Although the 20th anniversary sale takes place in the familiar confines of the lovely 1929 Arizona Biltmore, the RM Sotheby’s footprint has changed for this year because of a scheduling conflict with a huge gathering of medical-apparatus businesspeople, which scored the main ballroom at the Biltmore’s convention center where the collector car auction is usually held. 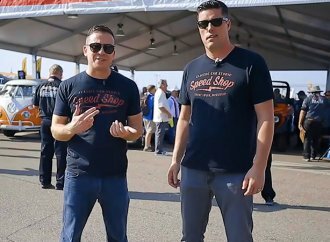 As a result, RM Sotheby’s pitched a tent, right in front of the hotel, which serves both as a showroom for the auction cars with the loftiest values and the arena for the auction itself. 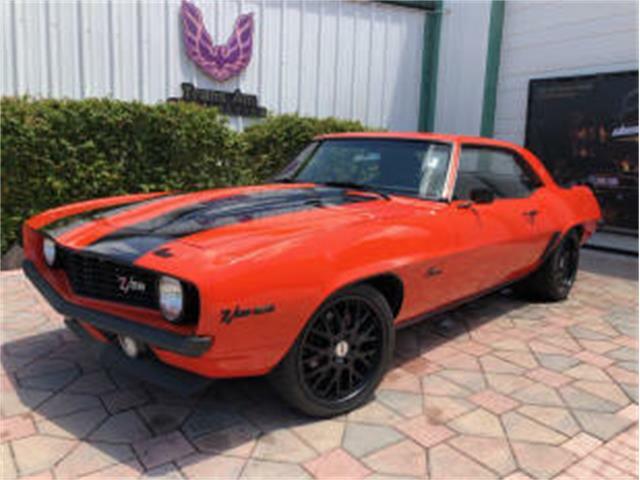 Registration for bidders and consigners is also centered there. Nothing seems to have been lost in the transition, aside from the customary ambiance of the Biltmore ballroom. But the cars are the thing, at RM Sotheby’s has put together yet another stunning group for this important sale. 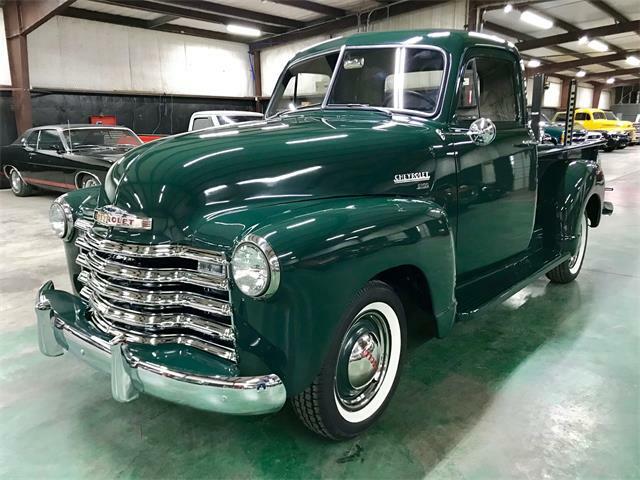 For more information about the Arizona sale , visit the auction website. 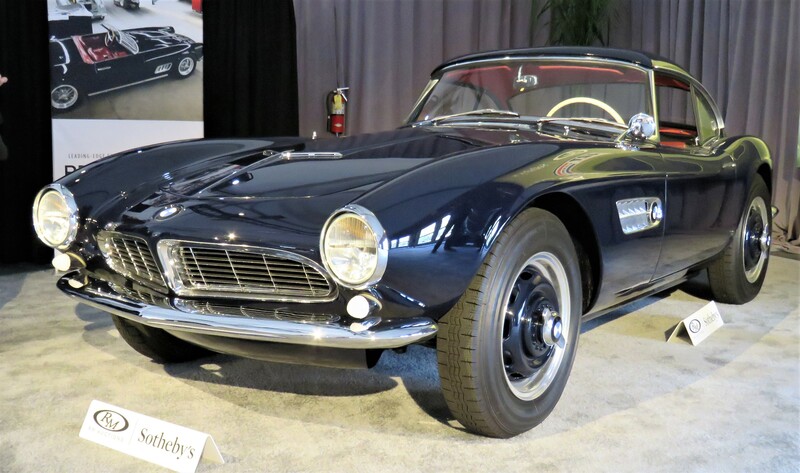 Starting off with a longstanding favorite, the 507 roadster is to my eyes a perfect example of sports car goodness, with aggressive styling, a snorting V8 and BMW’s famous drivability. Hey, Elvis had one while stationed with the Army in Germany. These cool roadsters were not great sellers when new, essentially because they were so pricey. 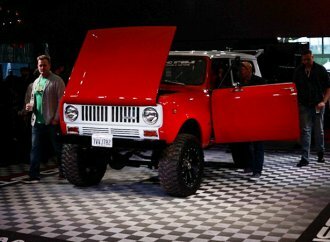 They still are, this one valued at $2.5 million to $3 million. 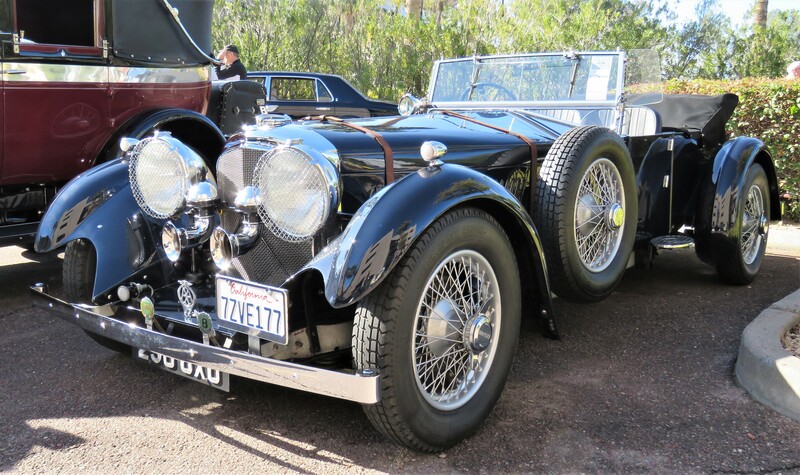 While not quite as thrilling as the original design on which they are based – and of which just five cars were built – the more-conventional production versions of the Silver Arrow still broke new ground in automotive styling, and look pretty great today. This fully restored example in Dove Gray with red wheels is powered by a straight-8, and it would create quite a sensation going down the road. 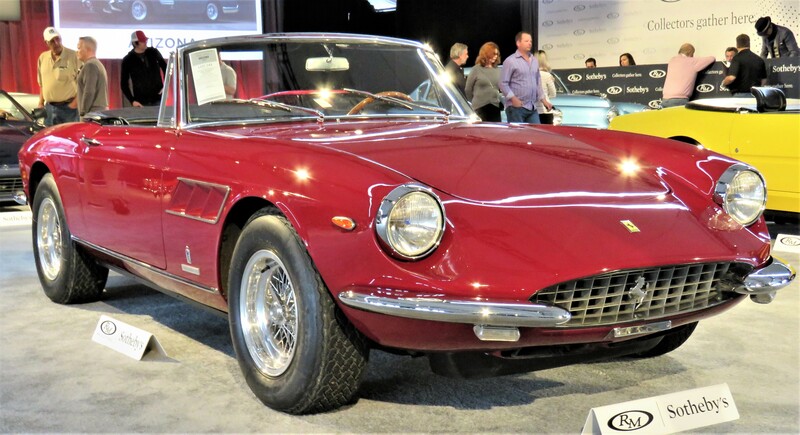 Of the fleet of Ferraris in the docket, this is the one I’d most like to take home, although it is valued at multiple times the worth of said home, at $2.2 million to $2.5 million. 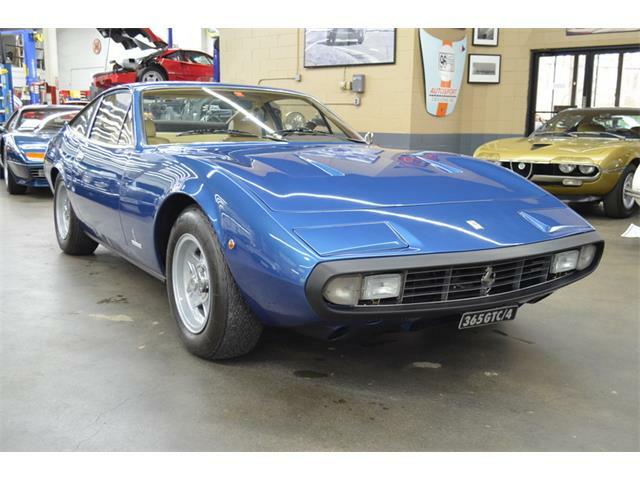 Ferraris from this era do it for me, with that sleek Pininfarina styling, V12 engine and sumptuous interior. 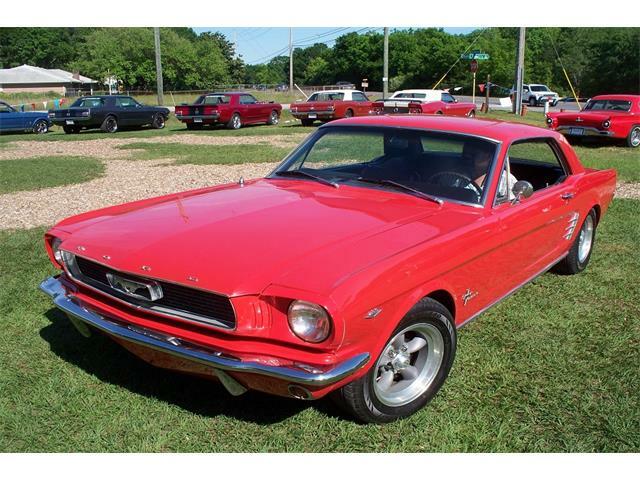 Just 100 of these sports cars were ever built, and this one is a perfect beauty in an ideal color. 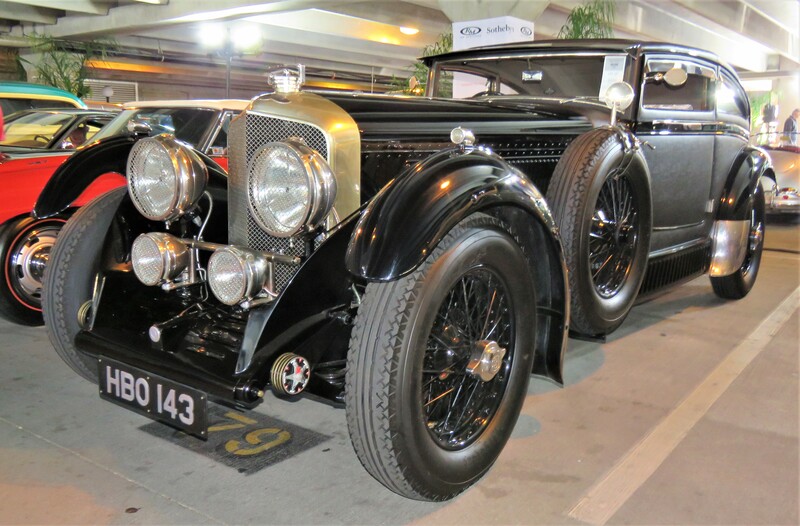 Here’s another Bentley replica, this one freshly built and based on the most-famous of pre-war Bentleys, a Speed Six created in 1930 to memorialize Wolf Barnato’s race against an express train from Cannes to London, which he won. The original car – a priceless gem now kept in a top collection – was coachbuilt by J. Gurney Nutting with incredibly evocative fastback styling. This recreation by Racing Green Engineering hews closely to the original, and has just test mileage on its odometer despite looking like it stepped out of a time machine. 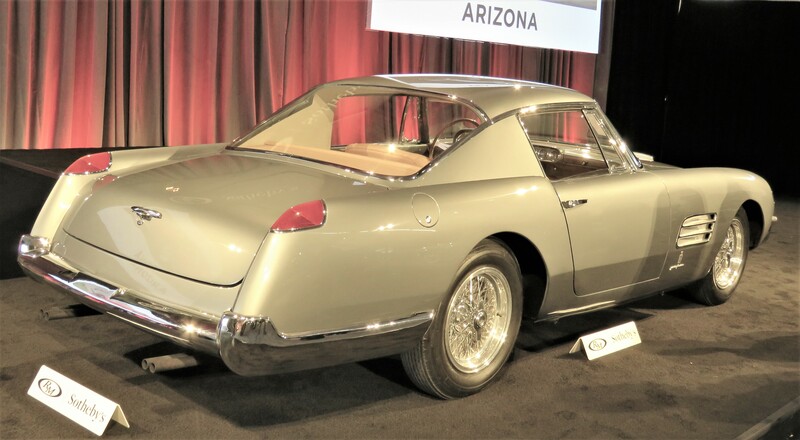 An example of Maserati’s early effort to produce a purpose-built road car to bolster the Italian company’s racing efforts, this fine-looking coupe designed by Carrozzeria Touring of Milan is absolutely splendid in its rare shade of Grigio Verde paint. I would love to pick up my wife for dinner in this very elegant machine. This impressive Caddy is the uncontested winner of the most-splendid grille competition, at least in my mind. 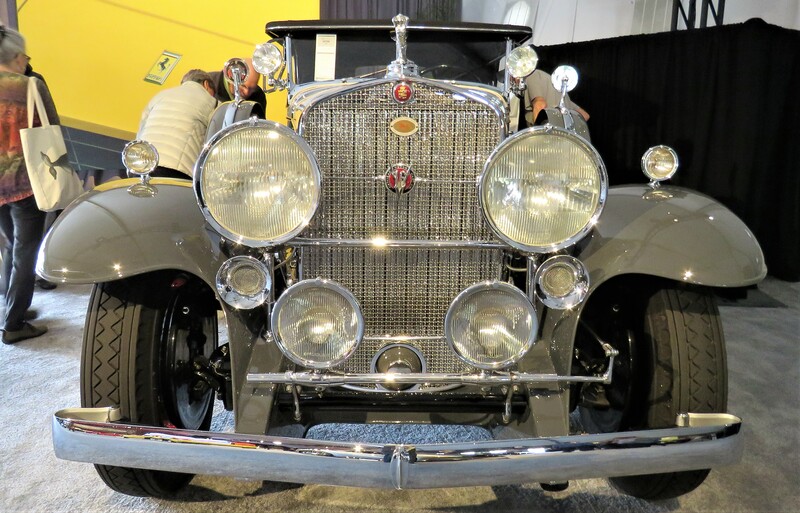 A full AACA classic, the rare Sport Phaeton boasts a body by Fleetwood, and it stands proud in the main auction tent. 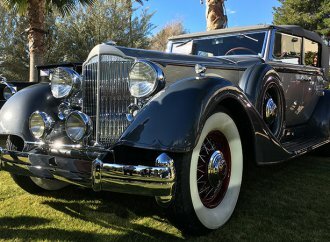 Under its lengthy bonnet lies Cadillac’s original V16 engine, really a pair of straight-8s joined at the hip, with overhead valves and hydraulic lifters. 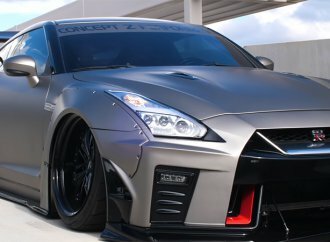 A truly magnificent car. 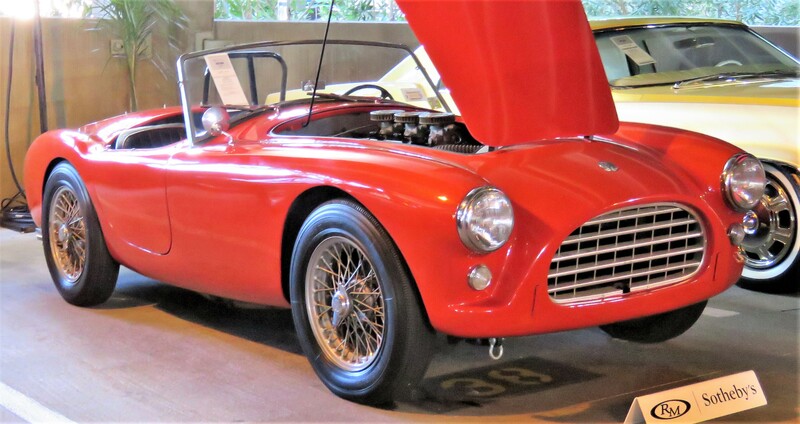 Before Carroll Shelby shoved Ford V8s under their hoods and made them into Shelby Cobras, the attractive Ace sports cars were hand-built by AC with 125-horsepower straight-6 engines supplied by Bristol. 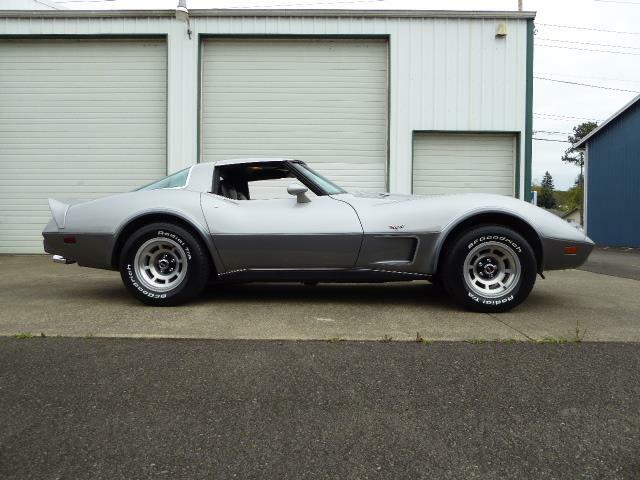 This Ace is original and unrestored, though repainted, and has period SCCA racing history. The roadster has a pleasing patina and looks ready for road or track. All together now: “It’s not easy being green…” This I witnessed first-hand as passersby took a look and immediately spoke or sang those five famous words from Kermit the Frog’s song of longing and introspection. 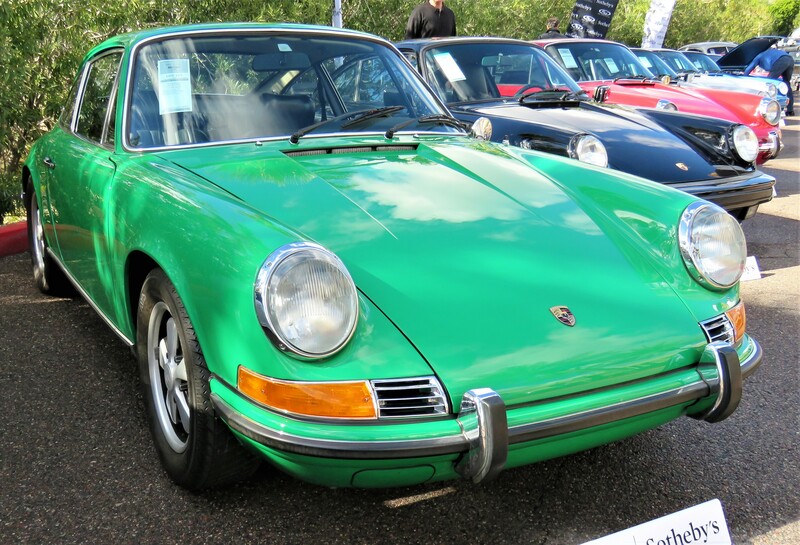 This sharp-looking Porsche, an early fuel-injected car, is indeed Kermit green, a factory shade that some might fault but that I find appealing. 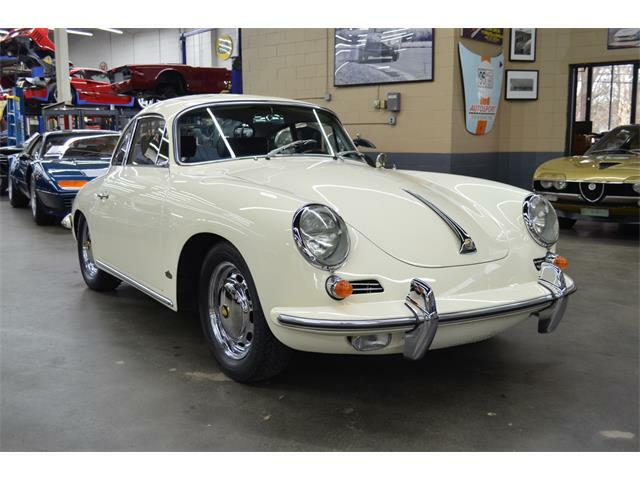 Porsche had a bright palette of colors for these 911s, which gives this restored car a period vibe. 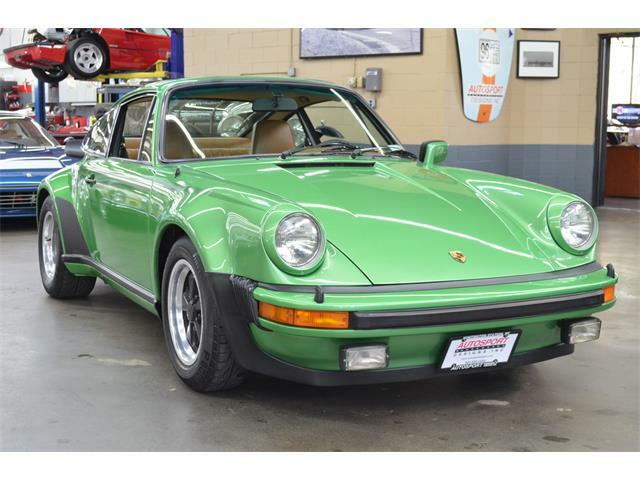 Porsche called it Conda Green, by the way, not Kermit Green. 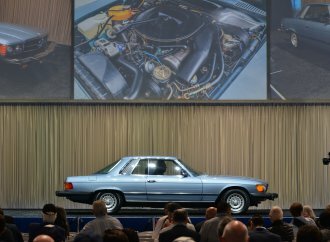 Now, you couldn’t expect this favorites roundup to conclude without the premium modern exotic of Arizona Auction Week. Bolstered by 950 horsepower from its gas/electric powertrain, this supreme hypercar is fitted with all available options, including the carbon-fiber kit and removable hardtop. 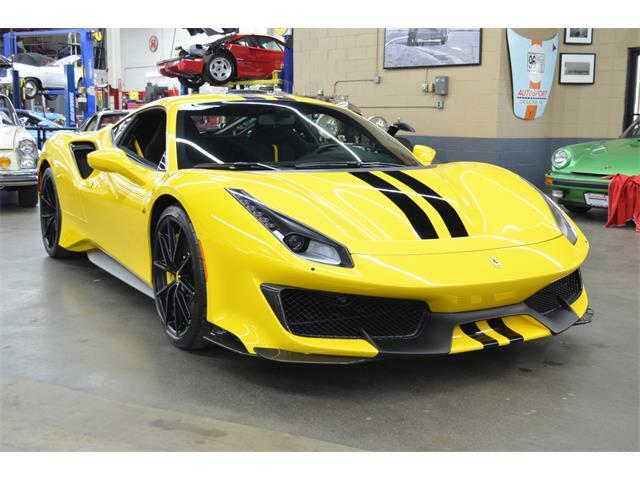 These limited-production cars were all sold out well before Ferrari finished building them, so this one should get some heated interest on the block. 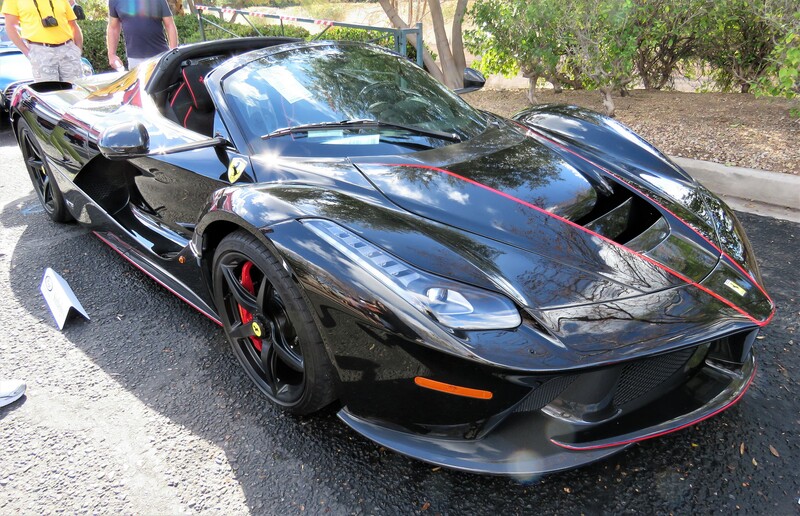 The last LaFerrari sold at auction surpassed $7 million. This one is valued at $6.5 million to $8.5 million. Ooh- the deep blue on the Beemer mitigates it’s somewhat derivative styling. 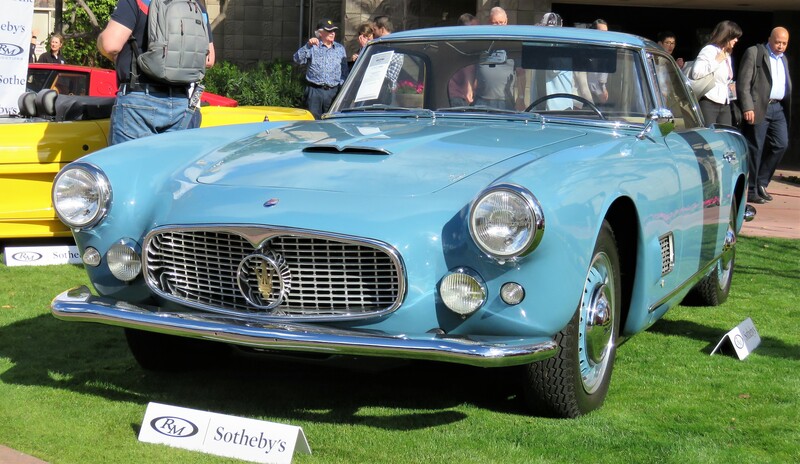 The Maser is perfect in it’s beautiful coat, even though I am not sure the thing is elegant. Spiffy or genteel, perhaps. And the V16 Caddy? Way past cool (can you say "Al Capone"?) but not a Bentley; same for the Pierce-Arrow, which competes against Packard and Peerless.